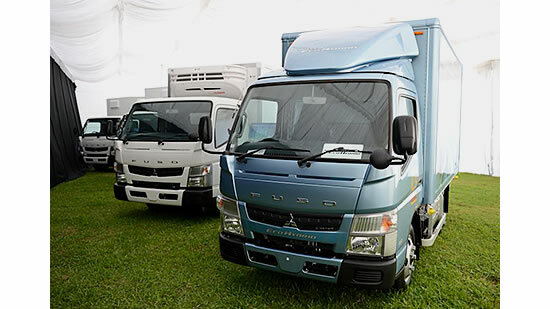 Mitsubishi Fuso launched its latest generation Canter light-duty truck and its world’s most fuel-efficient hybrid version Canter Eco Hybrid in Singapore last week. Canter Eco Hybrid is underway with its international expansion..
Mitsubishi Fuso Truck and Bus Corporation has launched a new body variant for its world’s most fuel-efficient Canter Eco Hybrid light-duty truck in Japan. 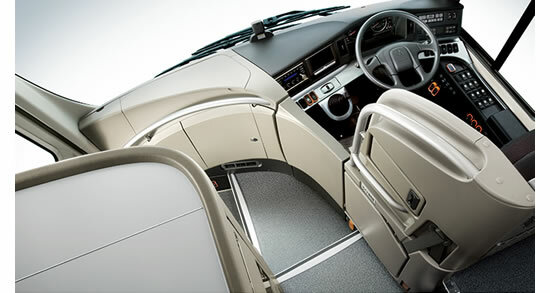 The latest Canter Eco Hybrid is the most..
Mitsubishi Fuso Truck and Bus Corporation will launch its 2013 model Aero Queen and Aero Ace large tourist bus incorporating the company’s latest safety technology Active Mitigation Brake system for Japan. The..